You have a hot idea for an eCourse. You haven’t looked at the search volume numbers yet but you know the interest in the topic is there. You just feel it intuitively. As an eCourse seller you’ve been in this position right? Well let’s imagine we’re someone in this position now. Let’s imagine we’re a construction worker or an architect and we want to teach people how to build their own home. This is the topic we’re obsessed about and we just assume the entire world is as well. The good news is that this “feeling” or “intuition” is an important first step in your long tail marketing strategy. You have to get started somewhere. But at some point you have to let intuition pass off the baton to data. Then, near the end of the process, data once again passes the baton back to intuition. Let me explain how this works. 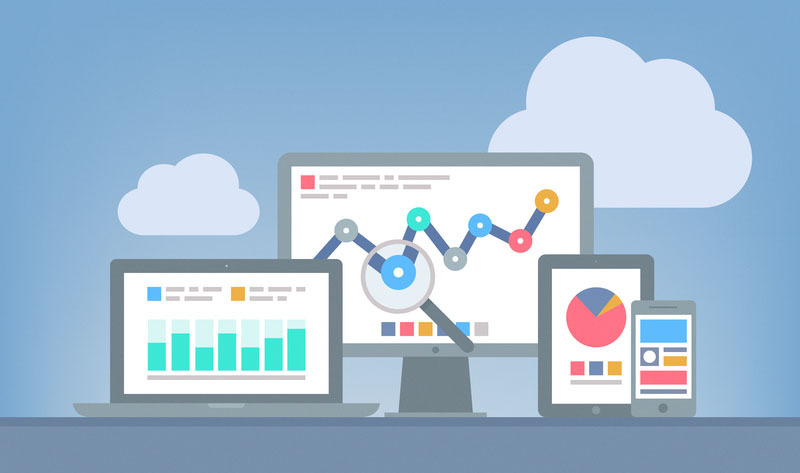 You don’t just need data to tell you if your intuition is right or wrong, you need that data to tell you how to best plan your eCourse marketing campaign. So how do we do that? Well it’s not that hard… it just takes some time. If we have an idea for an online course we need to make sure the interest in there. The good news is, that due to the global nature of the internet, the interest is almost always there. It’s just a matter of finding out how much. Now, Academy of Mine members get access to some pretty cool research tools and I’m going to be using those tools for the rest of this tutorial, but you can use Google Analytics to do much of what I’m going to do here. 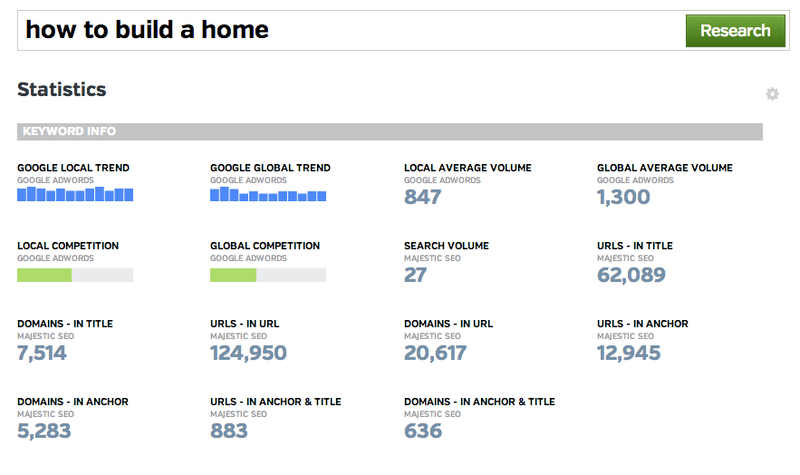 So let’s start by looking at global search volumes for the term “how to build a home”. That’s got to be a big term right? Well let’s see. These results come back and my heart sinks. I thought the entire world would want to know this information and I thought at least half the world would enroll in my online course. However, 1350 people is only slightly larger than the population of Allenwood, NJ. A far cry from the population of the planet. No offence Allenwood. The great thing we do in the system we use for our clients is we jump over to the adwords tab and start using that tool to help us brainstorm ideas for alternative and larger search terms. We need to find what people are searching for because in this case our intuition was wrong. As you can see (below) as we start to sift through the data we see alternative terms like “build your own house” . Great! So let’s click on that term to see how it compares. Okay, now we can see our newly suggested search term is much more popular. So we’re going in the right direction with our keyword research. Size matters, but it’s not everything. There are many things you need to take into consideration when you’re looking at global volume data around any search term. The first and most obvious question you need to ask yourself is “how competitive is this search term”? 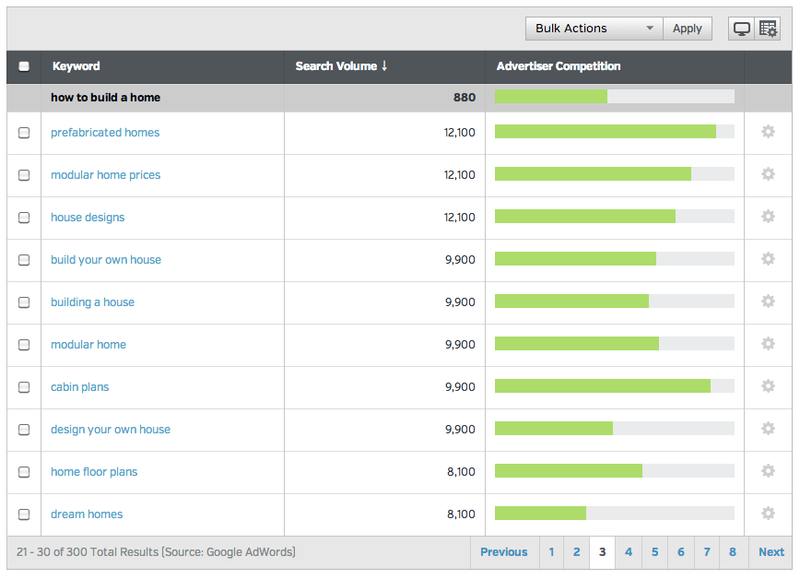 You can see above that the search term “building a house” is actually a fairly competitive term based on the advertiser competition metric. However, we shouldn’t give up hope here. While you can often draw a direct line between advertiser competition and organic competition, you still need to check. Don’t make the assumption that because 5000 companies are competing heavily to rank for that term in paid listings, that the same companies are optimizing organically. So let’s look at a few other metics. The numbers come back and it doesn’t look as bad as the advertiser competition made the term look. A Good metric to look at here is the “URLS – In Anchor & Title”. This really points to pages that seem to be actively optimizing for that search term. If I was an eCourse seller in this niche I would “flag” this term as a potential term that I would build content around and try to optimize for. And the reason it’s important to do this research and double check all of your work (especially if you’re just starting out) is because it helps you ensure you’re going after “low hanging fruit”. For example, let’s imagine you’re a new eCourse seller and there are two terms you’re thinking about going after. One shows 1000 global average volume, the other shows 10,000 global average volume. If you’re just starting out you might try to go for the “easy” one first. The “low hanging fruit” so to speak. This strategy of getting quick-wins is a good strategy for beginner eCourse sellers. However, volume alone doesn’t tell you how low the fruit is hanging. Remember our less than popular initial search term idea (how to build a home)? Remember it had only 1300 searches / month. 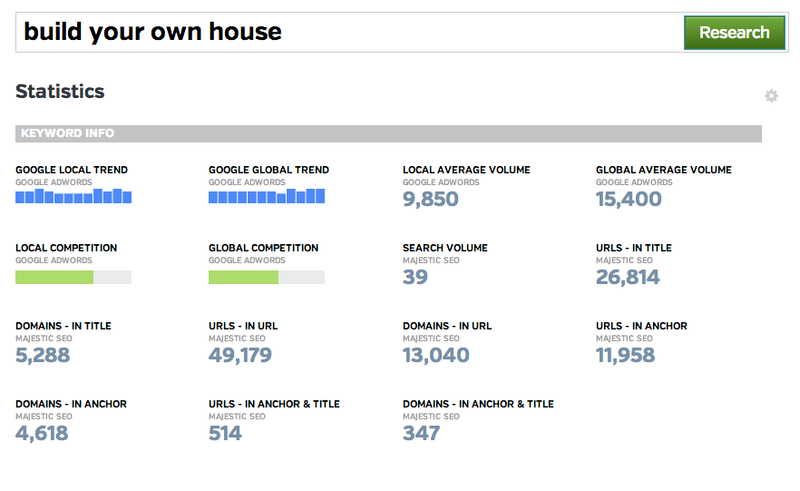 Well look below and look at the domain metric “urls – in anchor and title”. This terms actually appears as though it would be harder to rank for in organic search. It seems easier to rank for in paid search which is why I recommend you always double check this information. Volume data combined with organic and paid competition data is a great way for you to start building a list of potential search terms that you want to target. However, it’s not enough. The last macro indicator I want you to look at is “searcher intent“. This is when data needs to hand the baton back to your intuition. At this point you need to step back from the data and ask yourself “what is this searcher looking for and how closely does that relate to my eCourse”? For example, the term “dream homes” shows up in our suggested terms results above (when we were brainstorming for ideas). At first glance it meets our volume standards and our low(er) competition standards. So do we put it on the list? Not likely. The searcher intent just isn’t there. This is the delicate art and science of keyword research for eCourse sellers.